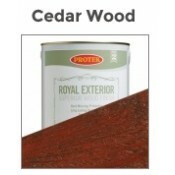 Red wood stains have always been popular and Shed & Fence Cedar is no exception. Unlike spirit b..
Golden Brown Shed & Fence Stain is a beautifully warm shade that instantly transforms timber. Th.. Shed & Fence Stain - Nut BrownThis strong dark brown wood stain is a rich velvety shade that loo.. This wood stain has been a firm favourite with fencing contractors in the trade because it .. 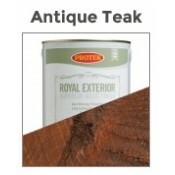 Timber quickly turns grey when left exposed; Decking Stain Cedar is a wood stain that keeps the red-.. This very dark brown wood stain colours and protects both hardwood and softwood decking. Nut Brown i..
Decking Stain Rustic Oak is a wood stain that has been specially formulated to give a rich tradition..
A very popular wood stain colour from our Decking Stain range, Antique Pine is a traditional shade t..
A very traditional and fashionable wood shade that is often used in furniture, panelling and parquet..
A darker wood shade than Golden Cedar, it still retains the rich nutty red but as more of a burgundy..
A light golden tone that is naturally beautiful. Perfect to paint on wood that needs that little bit.. FINISH - Satin with sheen increasing with further coatsLIFESPAN - 2 – 5 years depending on levels of.. 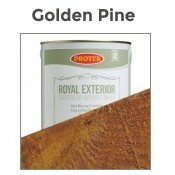 This is a warm nutty brown that will enhance and enrich any type of timber product. Hazelnut b.. Stunning deep red brown that is hugely popular. This timber has been used widely for making some of ..
Oak is a traditional comforting medium brown tone with a hint of red that leads wonderfully in to th..